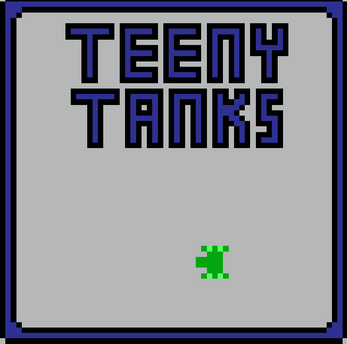 Teeny tanks puts you in control of a miniature tank in an ever changing arena of blocks. Your mission is to take out the other five tanks. An endless arena awaits you. Procedurally generated map and ever changing level of blocks and enemies. Many powerups and debuffs spawn in the game. Survive endless amounts of enemies and aim for a high score. 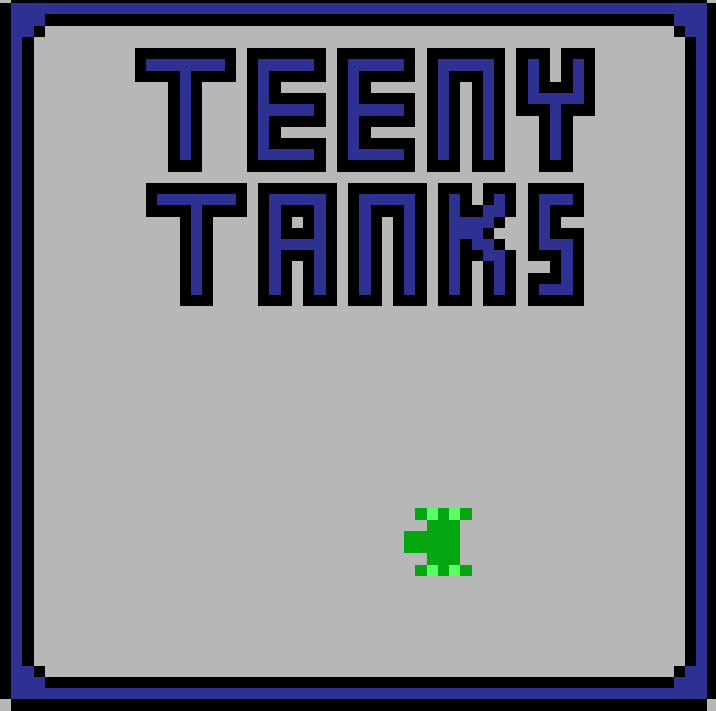 It has very bare bones graphics, but they're kind of stylish in a way and suit the simple nature of the game and also the fact that the levels are generated. It's not too simple, however. You can get power-ups and you can't just shoot all the time because of the cooldown. The enemies aren't the smartest you'll see, but give a tough challenge. I'd like to invite your game to take take part in our Game Development World Championship, especially the jam entries category! it's part of the current lowrez 64x64 resolution jam. Resolution is 64² scaled up in a view ;). Each tile is 8x8. The jam ends on Aug 18th. It should be free then to submit to the awards. Okay, that explains it then! Thank you for being interested in entering!